Corning Incorporated sponsored this blog post. The opinions, activities, and text are all mine. We are constantly in the car on errands or running around town visiting parks and exploring the area where we live. 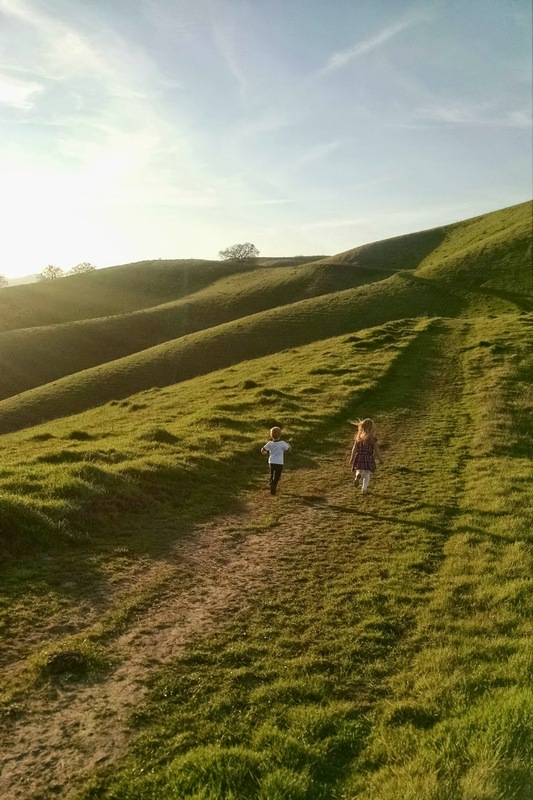 This time of year in the San Francisco Bay area where we live it is gorgeous and we hate to sit inside when there are incredible green hills to check out or cool hiking trails to discover. As an educator (and mom) I've found that learning is most effective for kids when they are engaged doing hands-on activities. We love to take learning to the streets and stores in our neighborhood. Lately my kids have been especially interested in taking pictures, so over the past few weeks we've been using my phone to snap photos when we are out on adventures. Today I'm going to share a little bit about the super cool Around Town Photo Wall we made with all of the photos we've been collecting. 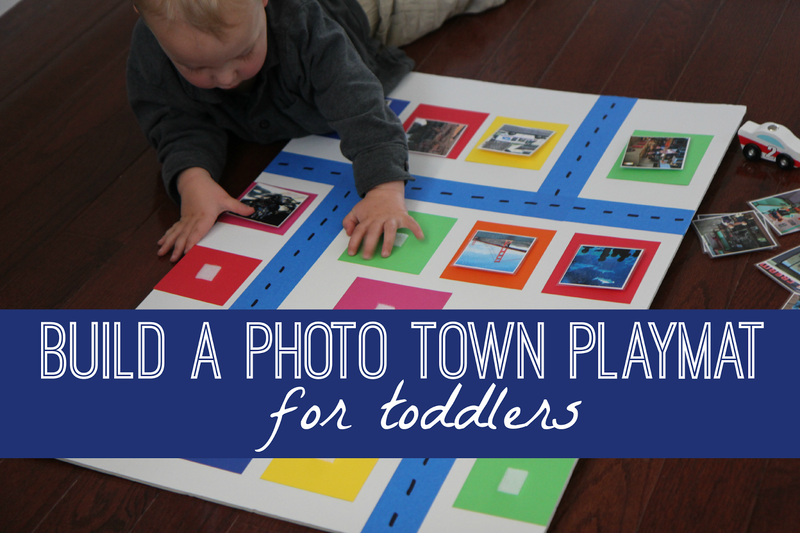 You could also call it a photo playmat since we play with it on the ground as well! Before the kids can use my phone I always remind them that they have to wash their hands (or wipe them off with a wipe) and I show them how to hold it so that they are able to take pictures and the phone doesn't get dropped. One thing I love about my phone is that it is made of Corning® Gorilla® Glass. Gorilla Glass dramatically improves protection against drops... just in case kiddos happen to drop my phone while they are snapping a super cool photo of a stop sign or their favorite restaurant. Do you ever let your kids take photos with your phone? After collecting loads and loads of pictures the kids have enjoyed scrolling through my image gallery on my phone and talking about colors, names of places, and even animals that were seen around town. Sometimes I even find a whole collection of selfies. This week we decided to take a few of our favorite photos from our adventures and use them to build an Around the Town photo wall at our house. We've made a few photo walls before for Christmas and Spring and they have been HUGE hits! One thing I love about photo walls is that they provide oodles of opportunities for vocabulary development for toddlers. To get started you need to collect photos! We ran around our neighborhood on foot snapping some photos. This is where I was most happy that my phone was made with Gorilla Glass since it focuses on improving damage resistance against sharp contact, such as a drop on asphalt, concrete, and other rough surfaces (which are basically all over our neighborhood). Fortunately the kiddos were really careful with my phone and I was actually the one that dropped it (as usual)! Doh! After watching these cool Gorilla Glass drop tests I can see why my phone is still intact. One of the things that is most important to me in a phone is durability. I drop my phone constantly since with three kids I am always trying to do too many things at once or I'm carrying too many things. I love having a sleek looking phone but have to be realistic and make sure I have one that is resistant to the scratches and bumps of everyday use. When we were snapping photos for our photo wall we also drove around in our car. 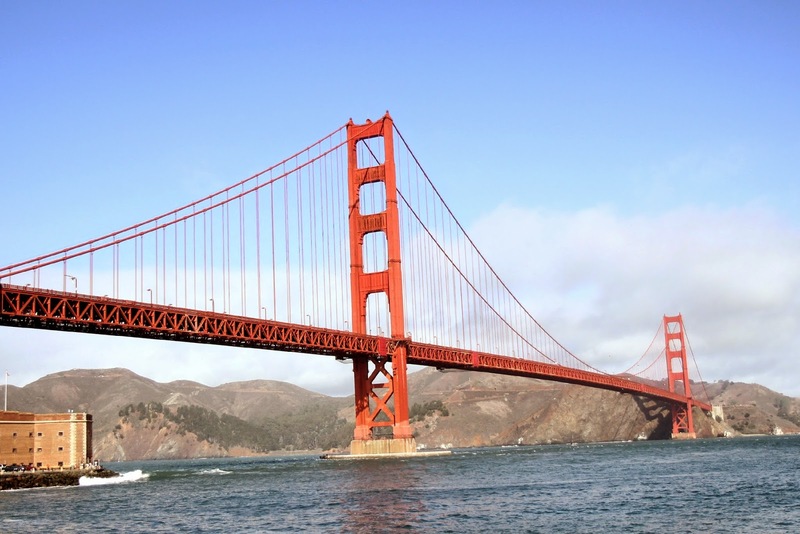 My favorite photos are the ones of some of our San Francisco adventures along with our hikes in the green East Bay hills. Once we had enough photos we printed some out on white cardstock and then we laminated them. Next we decorated our foam board with painter's tape roads and little colored cardstock buildings that we taped on. Next we stuck the photos around on the foam board using velcro. 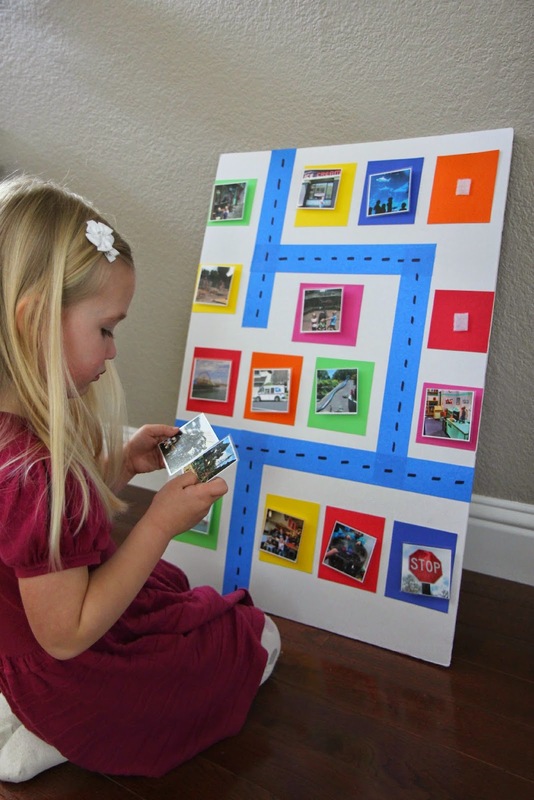 Using velcro made it possible for the kids to move the photos around, pull them off the board and then stick them back on. While they moved the photos around they talked about the places and things pictured in the photos. I was amazed all of the cool new words my toddler way saying after an afternoon of playing with our new photo wall! My preschooler loved driving the cars around and telling stories about each place as well. 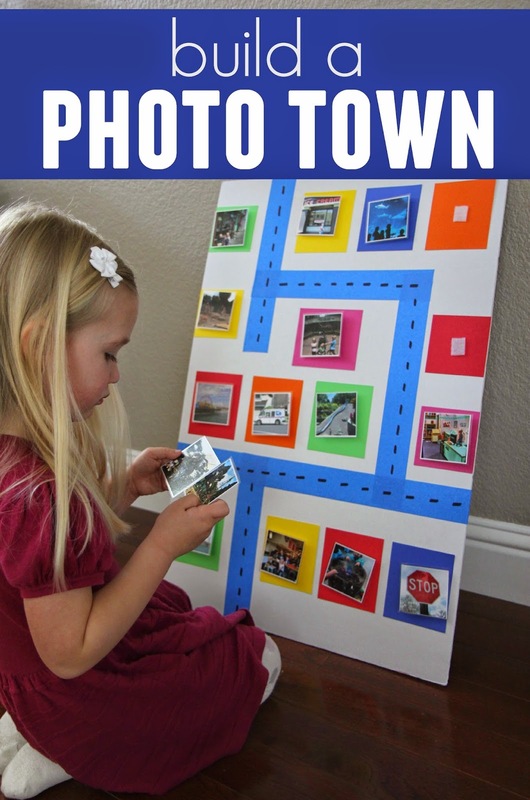 This activity is great for building language skills, talking about directions and locations, and even identifying colors. Have you ever made a photo wall for your kids? What are their favorite places near you that they like to explore or take photos of? Not only did we have a blast taking photos for this project but we also had fun learning more about Gorilla Glass. My kids were really fascinated by the screen on my phone and what it was made out of. 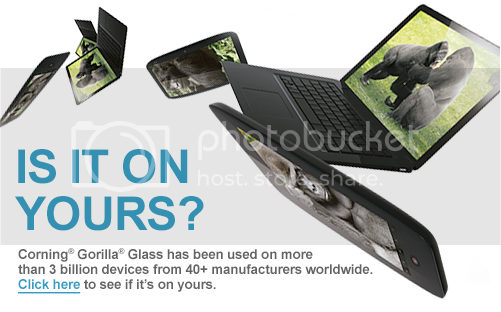 Now we want to go and check and see if the other tablets and notebooks around our house have Gorilla Glass too. Did you know that Gorilla Glass 4 is the toughest cover glass yet? In laboratory tests Gorilla Glass 4 survives up to 80% of the time when dropped from 3 feet high, and was up to 2x tougher than competitive glass designs. For a mom like me that drops her phone at least a few times a day this is reassuring! I don't have time to have a broken phone when there are cool things to learn and fun places to explore with my kids. Corning® Gorilla® Glass has been used on more than 3 billion devices from 40 major brands. Is it on yours? Click here to find out. Corning Incorporated sponsored this blog post. The opinions and text and activity ideas are all mine.